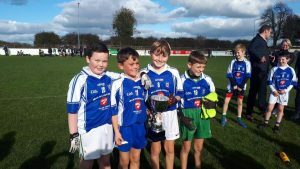 We are delighted to be hosting the Cumann na mBunscol Under-11 Finals on Wednesday 17th and Thursday 18th. Best of luck to all schools! Congratulations to Conleth and Mary’s. A special mention to the four Moorefield players- Ben Buckley, Calum Duane, Matthew Sherlock and Aaron Clark. Well done to all involved.